There are moments in our life when we are not sure how things are going to turn out. Moments when it’s all blank on the other side of the wall; and I’m here to say, that’s A-Okay! In an era of ultrasounds, Chorionic villus sampling (CVS), Alpha-feto-protein (AFP) testing, Amniocentesis, the scientific & medical community attempts to predict and control the outcomes of our births. From my grandmother`s era of Twilight Births* to this generation’s elective C-sections and Epidurals, we have a system that has usurped the birthing experience right out from under us and in part, we have allowed it. As a people, we permitted this landscape to manifest by entertaining the notions of fear that our medical system feeds upon. As Reiki Practitioners, and as a people, how can we change this? Good question! We shall begin by taking a peek at the current “western world” norm., before exploring the more natural approach that’s gaining popularity. The current system breeds fear of the unknown, fear of the “what ifs“, and the “worst case scenarios“ mentality. Add to that a nucleic family system, homogenized and spread to the four winds like margarine on bleached bread. Many young mothers do not have the support of their mothers, grandmothers, aunties or wisdom keepers of their “tribe”. Whether you originate from the Celtic Tribes, First Nations Tribes, Balinese, Hawaiian, Metis, Inuit, Germanic, Gypsy, Peruvian, Indian, Bedouin, Sukuma, tribal knowledge of the women was all the same. That deep ‘know-how’ beating within every woman who has walked the ‘land’ of babies and birthing and her babies generation birthing babes of their own. This wisdom is being reborn. We are being reborn into ourselves and we the women of long ago are remembering and bringing back these sacred teachings into this lifetime. The teachings that had been dormant and asleep for a small while are being awoken. By doing so, we are birthing an earth nation of undivided males and females. Reiki brings a certain “wholeness” to the table. A new system came into the forefront, along with the medical establishment, that espoused the idea that pregnancy is an infirmity to be dealt with. We were told that we were not responsible enough to be in charge of our bodies and our minds, much less the births of our children. Without the connection to the tribe, the family, we were spread to the four winds. As a Reiki Practitioner and retired nurse I have seen and directly experienced both sides of the birthing “coin”. They are both the same coin; connected, sacred experiences and anxiety laced & disconnected events. Reiki helps bring about a connected sacredness to the circle for the mother, infant and their support team, whatever her location (hospital or Home) or mode of birth (Vaginal, VBAC, C-section, Epidural). Ultimately, it is the Mother’s voice, her inner wisdom that is to be honoured. We as a people need to once again embrace this most fundamental right of passage; the very act of birthing our new lives from there into here. So while birthing is the unknown, there are generations of grandmothers who have come before us to bear the seeds of our tomorrows. Thousands of years of knowledge that is connected to the very bosom of earth mother herself. So how do we reclaim our strength and confidence in embracing the unknowns and digging in deep to bear down into a new way of being? Connect with the wisdom keepers. You will know who they are instinctively. If it does not feel right for you as an expectant mother, then it probably is not. There is now a resurgence of Midwifery and Doulas providing parents with an array of expertise. Along with these professionals, Reiki Practitioners are becoming frequently requested both within the hospital setting and in home birthing. I naturally brought this Traditional Japanese Healing Art into the birthing rooms of my grandchildren and baby niece, to provide relaxation and a sense of well-being. It just made good sense, based on my birthing experiences as a mother, nurse and doula. With my first born, in the mid ‘80’s, (besides the Lamaze* method), I regularly saw a little lady of Japanese descent in her garage in Hilo, Hawaii. Her hands were warm, very confident and assured. I received Reiki & Hawaiian Lomi Lomi massage from her on a very regular basis during the later stages of my pregnancy. This may be one of the reasons why my son was born so relaxed, fully aware and shining with aloha spirit. To this day he has a natural, sunshiny personality as do his son and daughter (both born to peaceful parents with Reiki in the birthing room and during pregnancy). As with most young parents navigating the paternalistic, clinical culture of the medical institution, as a young mom, I did not know that I could have another support person besides my husband, nor did I know I could birth at home, let alone have a Reiki Practitioner or a Midwife in my birthing room. To witness a new generation of parents (my children’s’ generation) educating themselves as advocates with an inherent voice & choice is wildly promising. They are embracing a more natural way of welcoming their babies into this world. From home births to delayed cord clamping to birthing pools to entire families in attendance, the scene is ever-changing, becoming more unaffected and organic. Inspired, following the births of my grandchildren, I began writing stories about Reiki Practitioners in the birthing room. I received Emails. I found out that nursing staff in the United States utilize Reiki in their hospital Maternity Unit. One nurse explained that she found it provided a feeling of peace and minimized the mother`s discomfort. Thus, she is teaching and certifying the other maternity staff in the traditional system of Reiki. When we go into that space of the Reiki zone, the world falls away and all grows quiet. Images and feelings emerge from the mists into the present consciousness. As a Reiki Doula* when channeling Reiki, you are in tune with the mother and child. You will know if you need to be in closer proximity to the mother and if you should make the offer hands-on Reiki. The Reiki flows and encircles the mother and babe as (s)he descends through the birth canal. 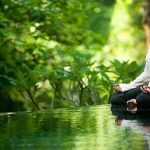 You can support the process just by sitting in the foreground in a meditative manner channeling the Reiki to the entire room and to those in the room. Presencing is key. To be fully present in a relaxed state is a beautiful comfort to the birthing mother, baby and father. (You do not have to be a Reiki Practitioner to do this). Add Reiki with the intention to provide that same tranquil feeling for all others and wow! What a great space to be born into. Remember, we are not there to birth that baby as that is mother and baby’s role. We are not there to advise or instruct. Our role is to help open the doorway and put out the ‘welcome mat’ to her inner wisdom. She will intuitively call on her ancestors and her helpers. They will come. You are there to hold space for her and witness, mop her brow if needed and provide the comfort that Reiki creates. You’re there alongside, helping her become friendly with the “Unknown”; you are there to remind her that she can do this! Reiki takes care of the rest. In the previous births I have been at, Reiki reduces the perception of pain and discomfort, promotes a sense of well-being, stabilizes vital signs, and helps the support team (whether they be daddy to be, nurses, family, aunties..) feel secure and at ease with their roles. Oftentimes, the ‘support’ parent can feel out of control and powerless when they see their partner experiencing birthing waves (contractions). This produces anxiety. Thus, Reiki channeled in their direction or around the room promotes a sense of peace. The soul arrives fully intact and whole from the mists of purity into this place of matter and sometimes heavier substance. A peaceful atmosphere is as close to a state of grace and sanctity that we can gift this new earthly life. This, above all, is one of the greatest offerings Reiki has revealed to me during natal support. Breathe into the sacredness of the experience and welcome this new soul through the birthing mother. She is not only birthing her babe, she is birthing herself into the ring of womanhood, motherhood and the pure Feminine. Watch her step into the light and shine! *Twilight Birth: In 1914, so-called “twilight sleep” was introduced in the U.S. A combination of medication: morphine, for pain relief and scopolamine, a sedative from the nightshade family that erases the memory was administered. It caused delirium in some women, thrashing of their bodies, and subsequent restraining to prevent falls from bed. Forceps delivery was common and generous episiotomy’s to allow for the physicians ability to pull baby from the “sleeping” mother. Baby usually would require immediate attention. Tonya McLaughlin has been practicing the healing arts throughout her life. She is a retired Nurse of 20 years, with mental health/ crisis response as her speciality. She is a Reiki Teacher and has been practicing Reiki since 2009. Meditation Coach, Reiki Doula and Master Instructor of the Martial Art,Taekwondo are among her special fortes. In these most recent years, Tonya spends her free time writing, beading, & enjoying her family of children and grandchildren. Tonya and her husband are in partnership; managing their 4 Taekwondo schools and she is a graduate of the JIBC’s Aboriginal Focusing Oriented Therapy & Complex Trauma program and the Wise Woman Way of Birthing Doula course. Her approach to healing is very intuitive, land based and original. “Everyone is their own true healer and everyone has that truth within them. It is the belief in oneself and the knowledge of our interrelatedness of existence that’s vital for healing” Ms. Tonya. Website: www.jinsheihealing.com. I had the pleasure of having Tonya assist the birthing of my beautiful daughter. As a holistic practitioner I knew i wanted extra supports. This is a wonderful article to educate couples who are going to experience birthing. Nanaste!